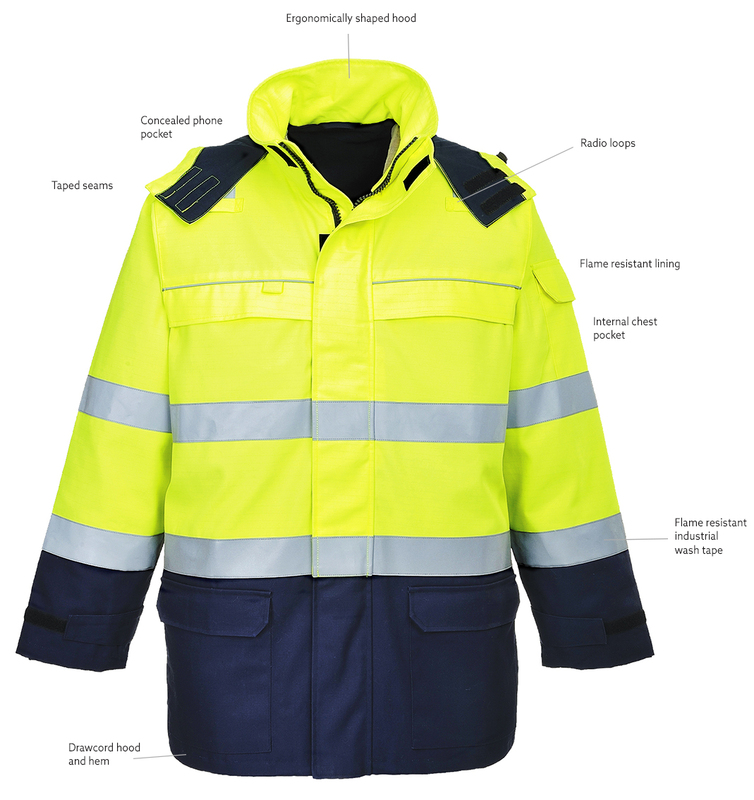 This high visibility jacket is independently certified to seven international standards making it the ideal choice when versatile protection is required. Ideal in combination with FR78 trouser. 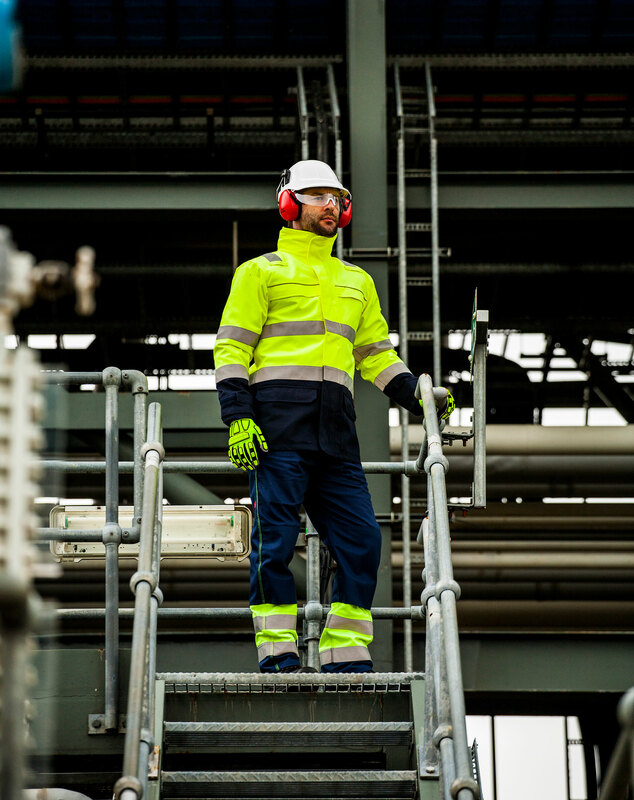 The multi-standard compliant clothing meets the most stringent requirements. 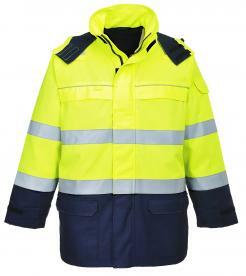 Garments are waterproof, resistant to chemicals, flame resistant, have anti-electrostatic properties, are arc resistant and ensure high visibility day and night. Conforming to seven EN standards, this 80% cotton, 19% Polyester, 1% anti-static,two layer PTFE lamination,PU Coated, Fluorocarbon finish, 380 gm fabric combines long term protection with superior comfort and appearance. 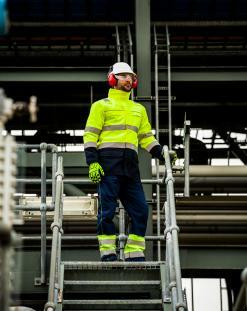 The multi-standard compliant clothing meets the most stringent requirements. 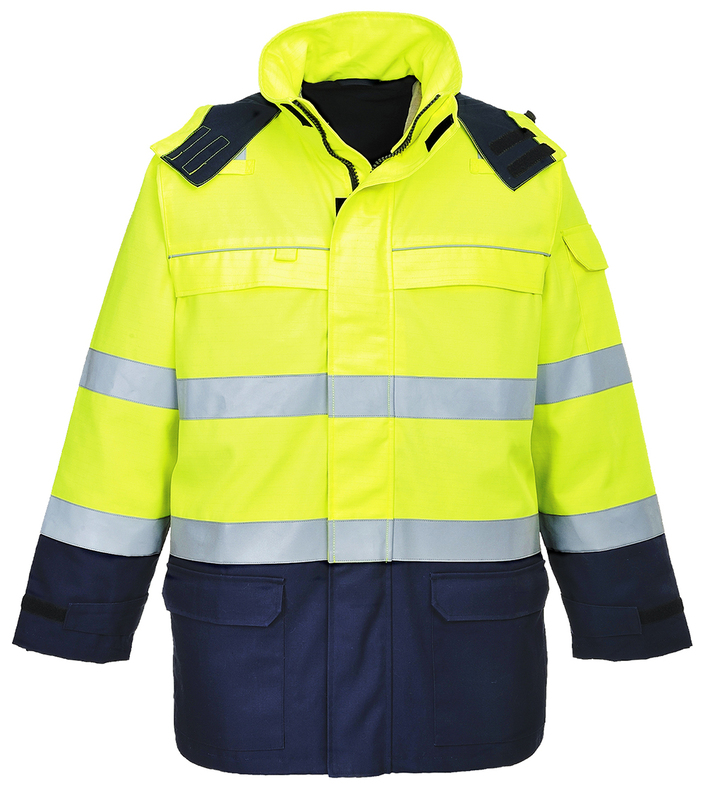 Garments are waterproof, resistant to chemicals, flame resistant, have antielectrostatic properties, are arc resistant and ensure high visibility day and night.